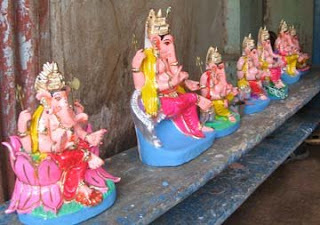 The Lord Ganesha has now come into all homes by now. In the picture you can see Lord Ganesha being taken home with a lot of joy and sounds of fire crackers & Ganpati Bappa Morya ! 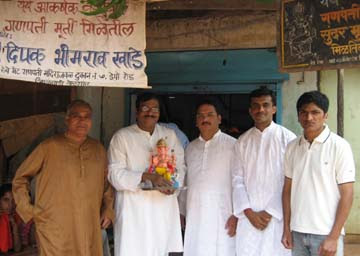 The Sarvajanik Mandals will get their idols by the evening. There are 347 registered Mandals this year in Belgaum.